Snake River Rock / Barker, Inc. is a supplier of high quality rock to landscapers and contractors for landscape and construction uses. We harvest columnar basalt, rip-rap, road ballast and fill from our quarries located on the Snake River in Washington state. 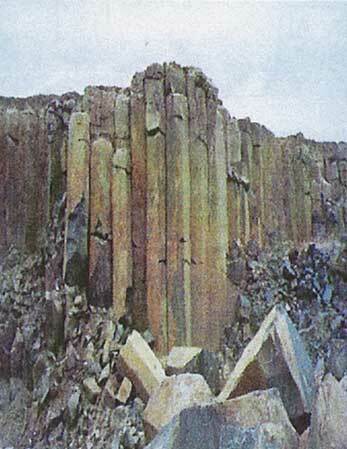 We are unique in our ability to provide both large basalt columns and also small landscape columnar basalt. Barker, Inc. is a highly respected construction firm that provides experience in road building, stream restoration, fish habitat restoration, erosion control, infrastructure construction, earthmoving, contouring, retaining wall construction, disaster relief, wildfire and forest fire control. Cut Above Landscaping, located in the Tri-City area, is a landscape design and construction firm that can provide both commercial and residential landscape design and construction throughout the state of Washington utilizing our product.